Classic home exercise software. Still relevant and powerful. We offer an alternative to our online software and it is a desktop system. It is very different. To learn more, see below. What is Classic desktop software? Quite simply, it is software that is installed directly on the hard drive on your computer. We call it classic because before the days of high speed internet and online apps, desktop software was the only option. Is Exercise Pro desktop for me? It might be. Suppose you do not want a subscription system. Maybe you don’t need all the features an online system provides. That’s ok, not everyone does. We have the answer. We have been making software for therapists for over 20 years. 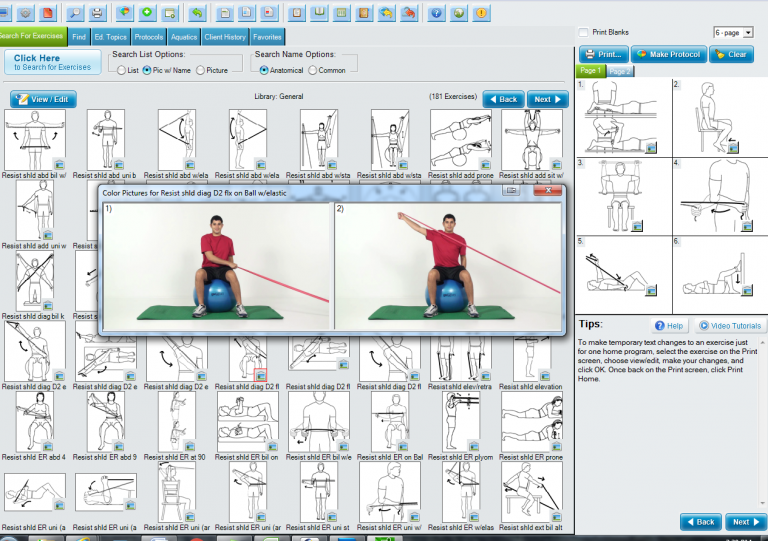 We developed the desktop software and still offer desktop software for physical therapy home exercise software. Will it still let me provide home programs to my patients? Of course, our desktop system has worked for therapists for years and still does for many therapists. You can still provide outstanding exercise programs and patient education. It really depends on your preference and your home program needs. Desktop software is a one time purchase. It installs on your computer, so you access it there, typically a work computer or laptop. It is licensed either as a single computer install or a multi computer install network which installs on a server. It is not licensed per therapist. 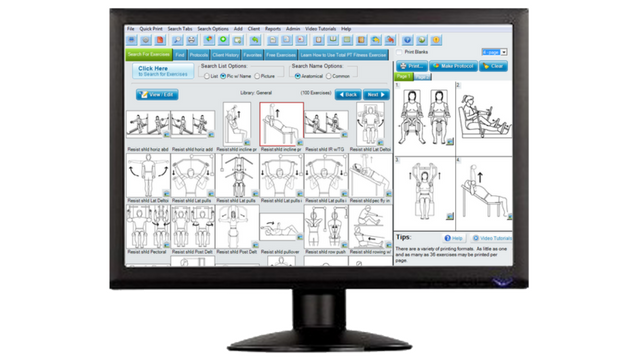 Every therapist can use the program on the computers that Exercise Pro is installed on. It also does not provide video. But you can still print or email exercise programs. But, since it is not online, you obviously lose some other functions like the online client portal, video exercise, messaging pain and feedback reporting, etc. Also desktop software does require a periodic purchase of upgrades. Check out our Quick Compare chart to help you decide which option is best for you.